We do a lot for our pets and we expect them to do a little something for us as well: pets are meant to brighten up our days no matter how bad we're feeling. For the most part, they do a good job of this: their carefree and playful nature serves as a great distraction even in the toughest of times. Problems arise, however, when pets start feeling like more trouble than they're worth – what better example to bring up than when they stain a piece of clothing or furniture you own? The affected fabric will care very little that your pet had no ill will: anyone who's ever dealt with pet odor and stains knows that they're incredibly difficult to remove even with professional help. Try to handle the job on your own, however, and all you're likely to accomplish is a loss of patience. 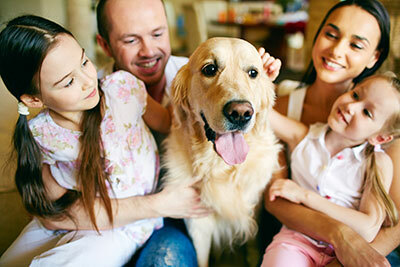 It's no exaggeration to say that we've worked on virtually every type of Corpus Christi pet odor removal job imaginable: from cases of multiple pets running rampant over a person's home to a single stubborn spot that persists for months, we've seen them all and we've brought our efficient brand of odor removal to each of them. Too many professional cleaners forget that there's a fabric to protect on every cleaning job: they'll assault a stain without mercy and cause even more damage to the surface they're trying to clean. We believe that no proper job can involve damaging a customer's fabrics, so we've worked long and hard to devise a pet odor removal method that's safe for even the most gentle antique carpet. 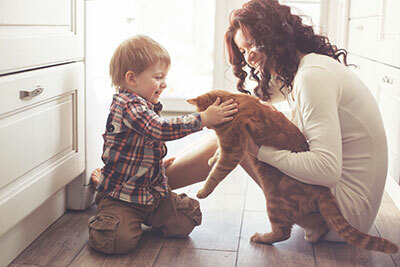 It wasn't easy, though – pet odor is notoriously persistent and can come back even after multiple attempts to eliminate it. Not with us, however: when we get to your home or office with our minds set on Corpus Christi pet odor removal, you'd best believe that your pet's ill effects will be long forgotten by the time we're gone. To accomplish this, we split every case of pet odor removal into two stages: stain removal and odor removal. Dealing with each issue separately allows for much greater control and broadens our options, making room for customized cleaning procedures that bring about the best results. We'll be straightforward about the following: without examining your carpet and upholstery, we won't be able to give you an accurate assessment of what you can hope for. The longer a stain is left unattended (and the longer that pet waste is left on the fabric), the harder of a time we'll have removing it. That being said, Corpus Christi Carpet Cleaning Pros isn't a name associated with customer dissatisfaction and we aren't about to let you down even if you're dealing with a more difficult case. Also, don't be afraid to call us if the stained fabric is expensive as we have a lot of experience working with antique carpets and other high-value textile items. While we subscribe to the most powerful cleaning methods available, we'd never use anything that harms fabric and your precious possession will be perfectly safe in our knowledgeable hands.